Sir Walter is undoubtedly the most hardy, best looking, soft to touch lawn available. With every purchase of DNA Certified Sir Walter you you will receive a Product Warranty Certificate & Authenticity Certificate with an Installation and Maintenance Guide. What is Genuine Sir Walter? 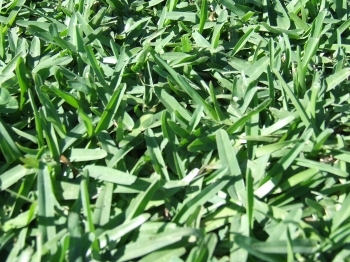 A variety of soft leaf buffalo (Stenotaphrum Secundatum), a warm season turfgrass that was selected and developed in the Hunter Region of NSW some 20 years ago by Mr Brent Redman. All Lawn Solutions growers of Sir Walter have undergone DNA testing and have strict growing and quality assurance protocols to ensure purity. You can only buy DNA Certified Sir Walter through a Lawn Solutions Australia grower.